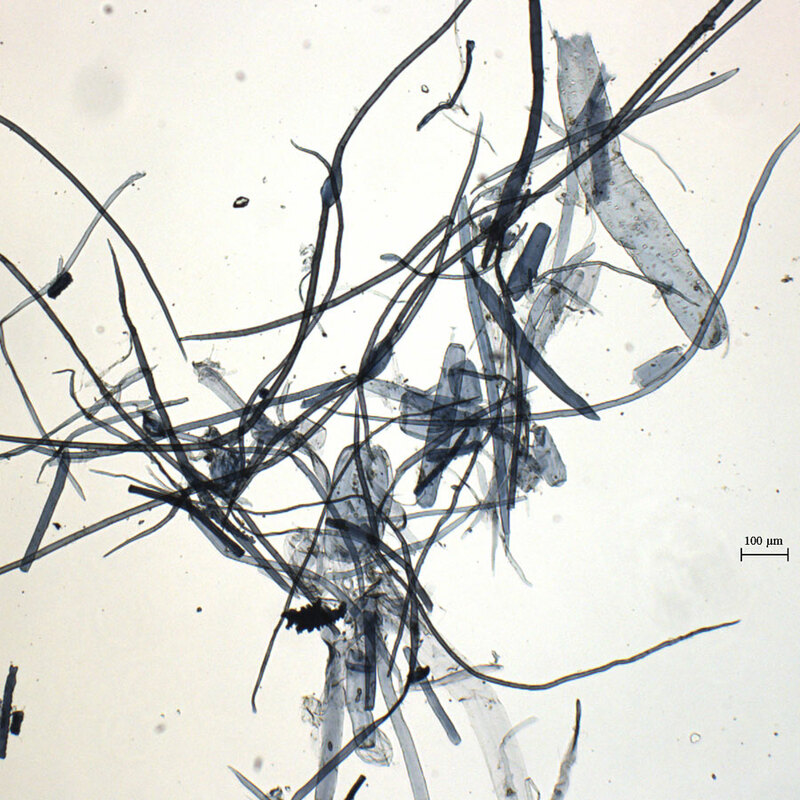 Presence of other thin walled pitted fibres, rounded or barrel. Fibers with thick and narrow walls. Large rectangular epidermal cells, often double-walled, in saw tooth shape. Triticum aestivum subsp. vulgare (Vill.) Thell. Triticum aestivum var. hybernum (L.) Farw. Triticum dicoccon var. timopheevii Zhuk. Triticum sativum var. vulgare (Vill.) Vilm. Triticum sativum var. vulgare Desv. Triticum sativum var. vulgare Hack. Triticum vulgare var. aestivum (L.) Spenn. Plant of Mediterranean origin, cultivated worldwide: it is found from Europe to China. Grown in fields at altitudes below 3500m. Wheat is an annual plant up to 1.50m in height, consisting of a stem topped by an ear. The plant can adapt to different kinds of soils, but moist and well-drained and she requires full sun. 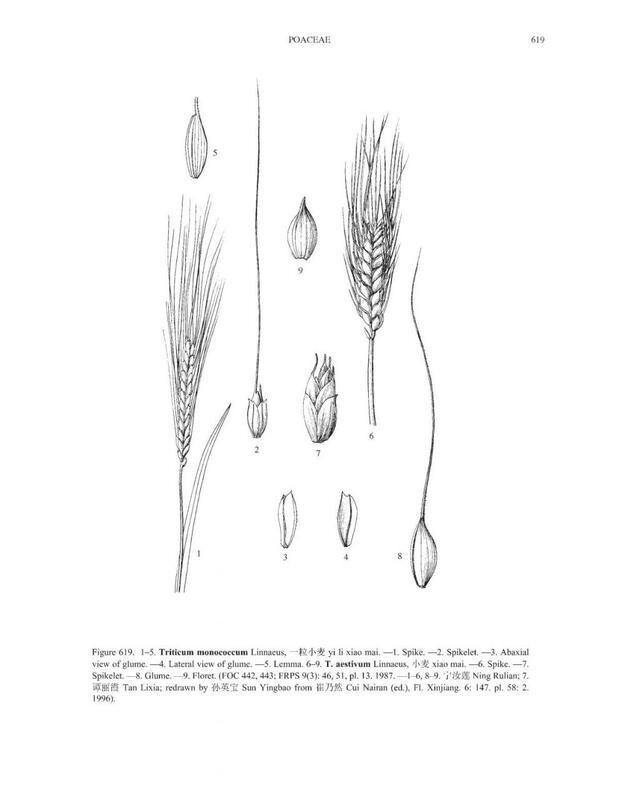 There are about 25 species of Triticum worldwide, including four in China, which were all introduced. 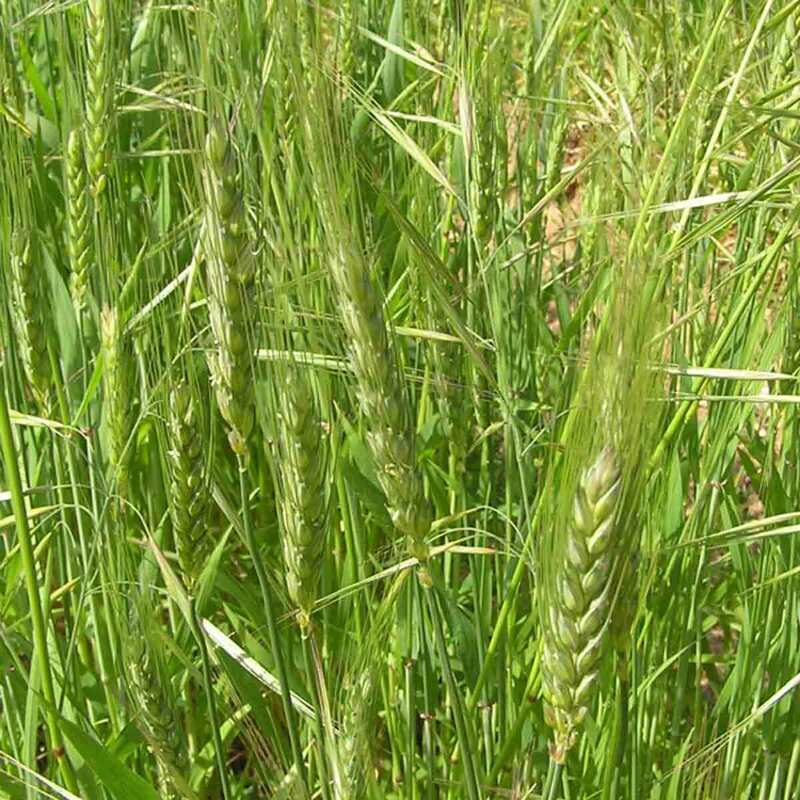 The ancestor of today's wheats is a wild grass, Egilope, that grew in the Middle East where it was domesticated in the early Neolithic. Wheat is an essential nutrient in Western societies as bread, porridges, noodles etc.. The expansion of wheat cultivation takes place both to Europe and eastward, reaching China and Korea around 3500 BC. and Japan around 2300 BC. Triticum aestivum wheat is grown to make bread flour in the West and noodles in Asia. The wheat straw is used as bedding and fodder for animals, to cover houses and in the manufacture of handicrafts. Straw is not very often used in the manufacture of Asian papers. Starch is used as a sizing agent for textiles. Su I-Chien (953-996), in the "Phu Weng Fang Ssu" or "Four implements for writing in a scholar's studio" says that rice and wheat straws are used in Zhejiang and produce an excellent paper when mixed with rattan. Song Yingxing (1587-1646) in the "Tian Gong Kai Wu" or "Creations of nature and work of man " (encyclopedia dated around 1634) mentions the blending of straw with bamboo in the manufacture of wrapping paper. Currently straw is still one of the most used materials in the production of packaging paper, ceremony papers and sanitary papers. Rice straw was used at the time of mechanization with the search for new materials. These tests were conducted in Kochi Prefecture during the Meiji period (1868-1912). Straw is also used in the manufacture of paper of kariryo hanshi or improved hanshi after the World War II. In Korea, wheat and rice straws are used in combination with the bark of Broussonetia. They are additional raw materials to reduce the cost during the Joseon period (1392-1910). Wheat is harvested in late summer; after collecting the seeds, the straw is cut in pieces and beaten to soften it. Straw is set to be steeped in lime water for 5 days in earthen jars, or after soaking in water for 24 hours, it is cooked for two hours in ash lye or caustic soda. The straw is then placed in fine mesh bags suspended from poles in running water to remove the whole lime. Straw is then beaten in a ball mill for 1½ hours. The beating is shorter and less violent than for bamboo or bark pulps. "Tian Gong Kai Wu" variant: the straw is beaten at first, then after immersion in lime water, it is buried in a pit. After disintegration, straw, placed in cloth bags, is rinsed in river. Straw is boiled in caustic soda.